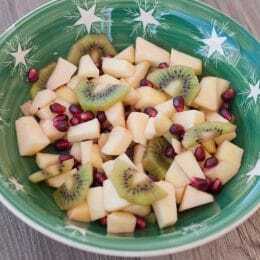 Remove the pomegranate arils (seeds); peel and slice (or dice) kiwi. Add both to the bowl with the apples. Toss to combine. Serve immediately.